"Paper Boys" is a new web series from Dekkoo that has been getting great reviews and quite a nice following. We meet Cole (Kyle Cabral) who decides to secretly move to San Francisco. He has a great excuse (his best friend's engagement party) and he uses it to run away from a dead-end job and the painful memories of a great summer with a guy in New York. However, when he gets there, he runs into the guy he has been crying over and how he felt again comes back. If that is not enough, his friend, Daren (Nathan Brown), reveals his engagement was an accident. Cole also finds a sketchbook with mysterious powers to try to get their lives back regardless of the consequences. We meet real people who struggle with the same kinds of issues that we all face. They ask themselves the same questions we all ask ourselves, while trying to figure out where we fit in the world. This is a show that has very diverse story line and a very diverse cast of characters. The main character is Asian and the sisters are Asian and white. It is a show about ordinary life for the average millennial, along with an element of magic mixed in. The sketchbook was appropriate because it gives Cole a degree of control over his life, something that many feel they do not have. While this is considered to be a gay web series, it is s much more. We have a gay character making the discovery that he has magical power. The characters are involved in complicated relationships in terms of family, friends, and love and this is very relatable regardless of gender, race, age, or sexual orientation. 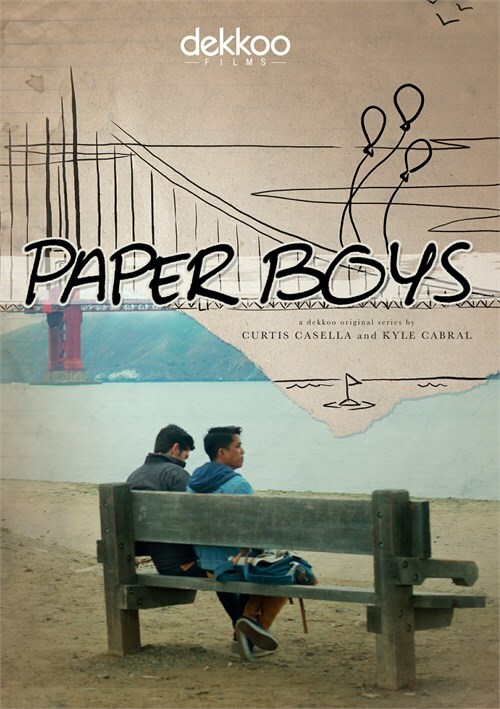 "Paper Boys" is s "a gay romantic fantasy dramedy about discovering who you are, and with a newly found magical power, becoming who you want to be."